Is-Segretarju Ġenerali tal-PN Chris Said qalilna li l-PN irid kumpens għall-każini politiċi propjeta’ tal-Gvern li l-Labour għandu iktar mill-PN. Iħoss li l-PN ġie diskriminat. Ġdida din! Waħda isbaħ mill-oħra! Liċ–ċittadin li jħallas it-taxxi, Chris Said is-Segretarju Ġenerali tal-PN, irid jagħtih daqqa doppja. L-ewwel daqqa billi ittieħdet propjeta’ pubblika għall-każini meta dan ma kellux isir. Issa jrid illi jsir bilanċ tal-abbuż! Dan jaf x’inhu jgħid jew? Naħseb li kien ikun aħjar kieku Chris Said u l-PN jgħiduna x’kumpens ser iħallsu huma lill-poplu Malti talli għal 25 sena sħaħ il-PN baqa’ iċċassata quddiem il-boathouses (li qatt ma raw dgħajjes) ġol-Aħrax tal-Mellieħa. Għal 25 sena sħaħ il-Partit Nazzjonalista kien kompliċi ma dawk li ħadu l-art u bnew bla permess bil-konsegwenza li ċaħħdu lill-eluf ta’ Maltin kull sena milli jgawdu parti mill-kosta. Dan hu l-kumpens li Chris Said is-Segretarju Ġenerali tal-PN messu jitkellem dwaru! 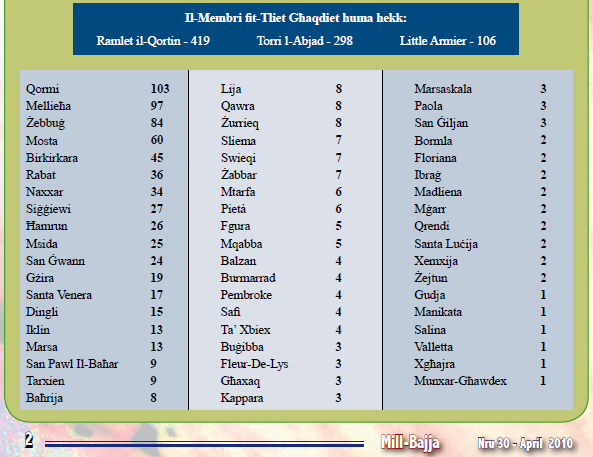 Fir-Repubblika ta’ l-Aħrax tal-Mellieħa s’issa ingħata l-messaġġ li hemm liġijiet differenti mill-bqija ta’ Malta. Filwaqt li f’Malta ma tistax tapplika għal meter tal-elettriku (jew tal-ilma) jekk il-bini fejn tkun trid tistalla l-meter ikollu xi illegalita, dan ma japplikax fir-Repubblika tal-Aħrax tal-Mellieħa. Sa issa min abbuża fl-Aħrax tal-Mellieħa ġie ippremjat. Gvern immexxi mill-PN li kontinwament fittex l-iskużi ħalli jiġġustifika li ma jagħmel xejn. 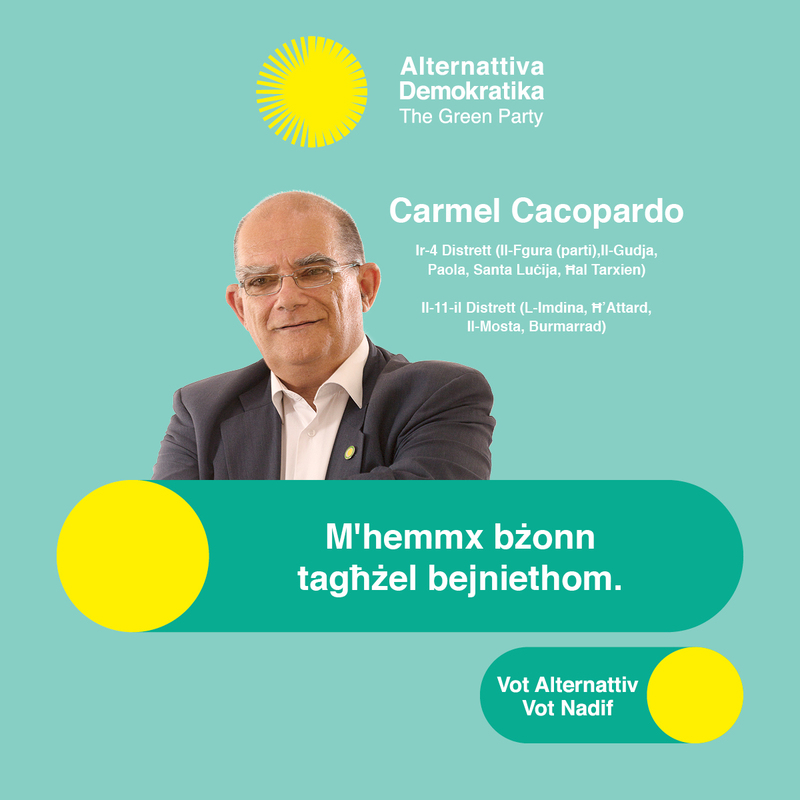 Fl-Aħrax tal-Mellieħa il-parti l-kbira tal-art hi tal-Gvern u għaldaqstant m’huwiex aċċettabbli li l-awtoritajiet għamlu 25 sena jħarsu ċċassati lejn min abbuża fid-dawl tax-xemx. Kull ftehim li jista’ jasal għalih il-Gvern ma dawk il-persuni li bnew jew qed jokkupaw il-kmamar illegali fl-Aħrax tal-Mellieħa ikun premju lil min abbuża u jwassal il-messaġġ li l-liġi f’dan il-pajjiż mhiex l-istess għal kulħadd. Mhux aċċettabbli li jingħata l-messaġġ li fl-Aħrax tal-Mellieħa għandhom Repubblika għalihom fejn is-saltna tad-dritt (rule of law) dabet u sparixxiet. 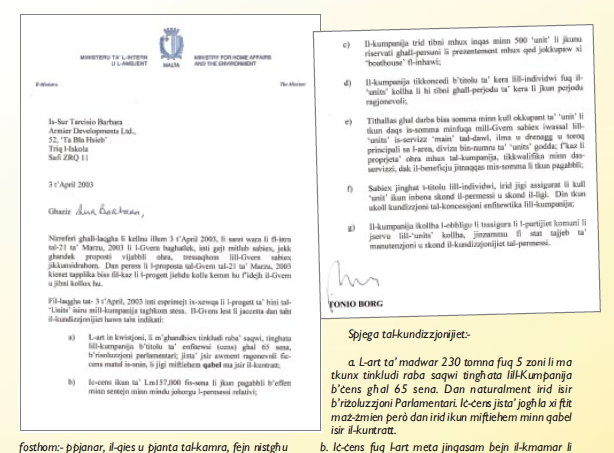 L-art pubblika fl-Aħrax tal-Mellieħa li hi okkupata mill-kmamar illegali u li jsejħu boathouses (bla dgħajjes) għandha tirritorna lura f’idejn l-istat biex titgawda minn kulħadd. Għax id-dritt tal-aċċess għall-kosta hu ta’ kulħadd u m’għandux ikun limitat għal dawk li kkapparraw l-art. Fl-Aħrax tal-Mellieħa għandhom bżonn jifhmu ukoll li min jikser il-liġi għandu jbaxxi rasu u jsofri l-konsegwenzi ta’ egħmilu. Flok l-iSmart meters il-Gvern għandu jibgħat il-gafef biex ikaxkar u jwarrab l-illegalitajiet. Jekk dan ma jsirx mingħajr iktar dewmien ħadd m’għandu jippretendi li f’setturi oħra u f’lokalitajiet oħra ma jkunx hemm min jippretendi li hu ukoll jagħmel li jrid. F’Malta, Repubblika waħda fejn il-liġi hi l-istess għal kulħadd, hi biżżejjed. Il-bieraħ il-gazzetti online kellhom storja komuni. F’riċerka li saret bejn akkademiċi mill-Universita’ ta’ Portsmouth flimkien ma akkademiċi md-Dipartiment tal-Ġografija tal-Universita’ ta’ Malta ikkonkludew li fil-passat imbiegħed Malta kienet soġġetta għall-effett ta’ tsunami, riżultat ta’ terrimoti li seħħew madwarna. Mewġ ta’ mhux inqas minn 4 metri għoli jidher li ħalla effett f’żoni sa 20 metru il-fuq mil-livell tal-baħar. Mewġ b’veloċita’ ikbar minn 30 kilometru fis-siegħa ikaxkar kull ma jsib quddiemu. Issa l-kosta ta’ Malta b’faċċata tħares lejn il-grigal hi l-iktar populata, bil-bini jasal kważi sal-baħar. 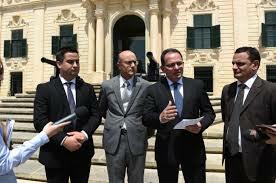 Hi ukoll iż-żona li fiħa l-parti l-kbira tal-infrastruttura turistika kif ukoll il-power station ta’ Delimara. Li Malta hi esposta għal dan il-periklu naturali mhux xi ħaġa li nafuha illum. Imma li illum hemm dan l-istudju konkluż forsi jkun hemm ftit min jiftaħ għajnejh dwar il-ħtieġa li nifhmu illi d-Dipartiment għall-Protezzjoni Ċivili jeħtieġ iktar riżorsi u nies imħarrġa biex il-pajjiż ikunu ippreparat għal dan il-periklu naturali. Periklu li jista’ jkun fuqna fil-qrib, u jista’ jkun fuqna fil-bogħod. M’hu magħruf minn ħadd il-meta. Imma jiġi meta jiġi, bħala pajjiż s’issa m’aħniex ippreparati. 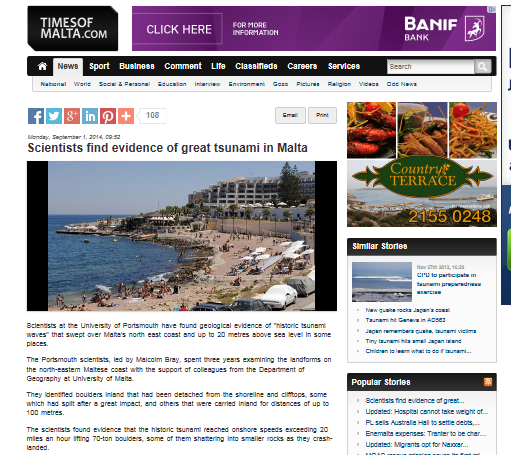 29 t’April 2013: Malta u l-iżbroff tal-vulkan Marsilii. Wara d-deċiżjoni tal-Imħallef Ellul fuq l-abbużi fl-Armier il-PN għadu sieket. Tajjeb li nfakkru li l-abbużi tollerati minn Gvern immexxi mill-PN m’humiex biss dawk li jitkellem fuqhom l-imħallef Ellul fis-sentenza tiegħu. Hemm ħafna iżjed. L-ex Ministru Falzon kien spjega f’artiklu miktub minnu fil-Malta Today li hu kien resssaq proposta għat-twaqqiegħ tal-bini illegali fl-Armier iżda l-Kabinett ma appoġġaħx. Sadanittant il-PN jibqa’ sieket, konxju li hu responsabbli għall-istat attwali tal-irregolaritajiet fl-Armier. L-inqas li nistennew hi apoloġija. Minflok għandna skiet li jtarrax. Il-politika ġdida ta’ Simon Busuttil. 24 ta’ Ġunju 2008 : Il-boathouses fl-Armier. 21 ta’ Jannar 2012 : Parties in Cahoots with squatters. 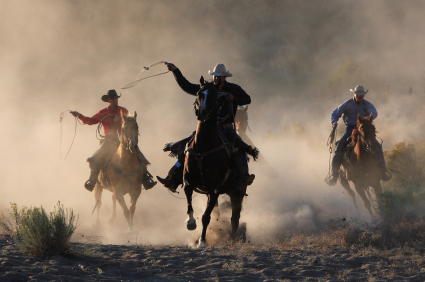 17 t’Awwissu 2012 : Armier cowboys should not be rewarded. 23 t’Ottubru 2012 : Pajjiż tal-cowboys : israq u tkun ippremjat. 2 ta’ Frar 2013 : Armier illegalities and amnesties. 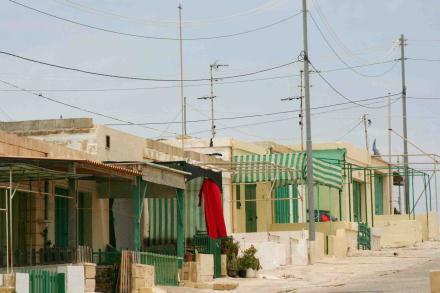 The unauthorised campers at Marsaxlokk were in the news during the last weekend not just for their illegal camping but more for the violence they used. It seems that the lack of action of government in respect of the Armier (and other) illegal boathouses has conveyed the message that at the end of the day they may strike a deal! Their vote for public land. We have been through this before. That is in fact what’s on the books at Armier even though government has been very slow to implement what it has agreed to. Agreements were entered into with the squatters at Armier represented through their company Armier Developments Limited. Officially government is awaiting the approval of the Marfa Action Plan which was issued by MEPA for public consultation in 2002. It is government which will eventually approve the Marfa Action Plan after “careful consideration” of MEPA’s recommendations. The Marfa Action Plan is the result of a detailed exercise through which the various activities in the l-Aħrax peninsula were identified. Through the Marfa Action Plan, still in draft form , the authorities seek to compromise with the squatters by identifying five areas where they can construct alternatives to their present illegal boathouses. Alternattiva Demokratika is opposed to arriving at any form of agreement with the squatters. They should be evicted the soonest. The area should be rehabilitated with its cultural and natural features conserved. All boathouses illegally constructed, both pre and post 1992 should be demolished forthwith. “The establishment of footpaths, picnic areas, proper camping sites coupled with a conservation of historical buildings and the prevention of further devastation of garigue areas through the dumping of rubble are all valuable features of the plan. AD is concerned about the effectivity of the administrative structures which will oversee the operation and maintenance of the proposed investment in such matters as the cleaning of picnic areas and the control of campsites. 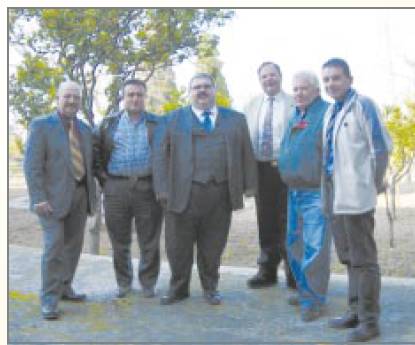 Enforcement structures from MEPA would be welcome”. As no part of the island is more than 20 minutes away from the coast AD considers that the MEPA proposal for the construction of beach rooms is an unnecessary development which will only serve to reward squatters and undermine the rule of law. Cowboys should be punished not rewarded. 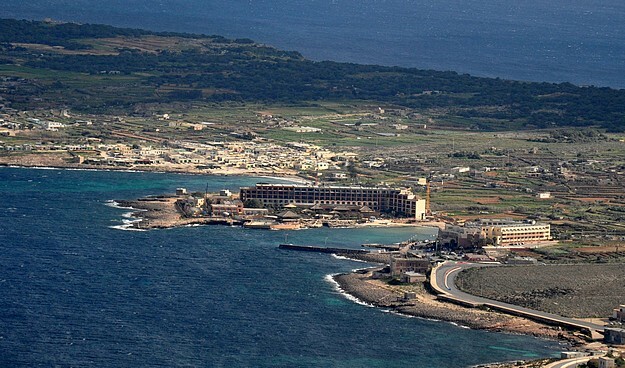 My conclusion is identical to that of Dr Harry Vassallo former AD Chairman in 2002 who commenting on the Marfa Action Plan had stated: “When one considers the lack of accessible coastland and the uncontrollable sprawl of development, one realises that there can be no room for compromise in the defence of what we have left. The quality of life of the entire population should be given a priority over the privileges of boat house residents”. Original of this post was published on Friday 17 August 2012 at di-ve.com.